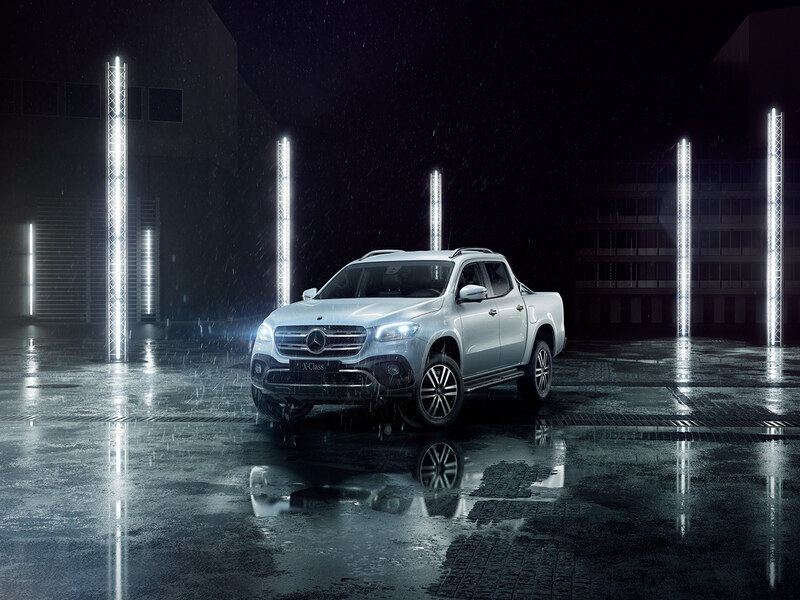 After successfully generating previous artwork for the Mercedes-Benz ‘X-Class’ model ‘Evolution of Tough’ campaign, we were asked to build a still visual for both print and digital that matched the client's TVC. 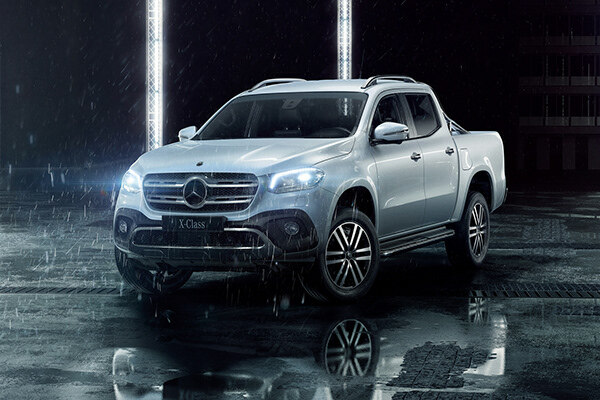 We drew up a number of different options to explore the best way to produce this, from examining the best automotive photographers to the closest resembling location settings. 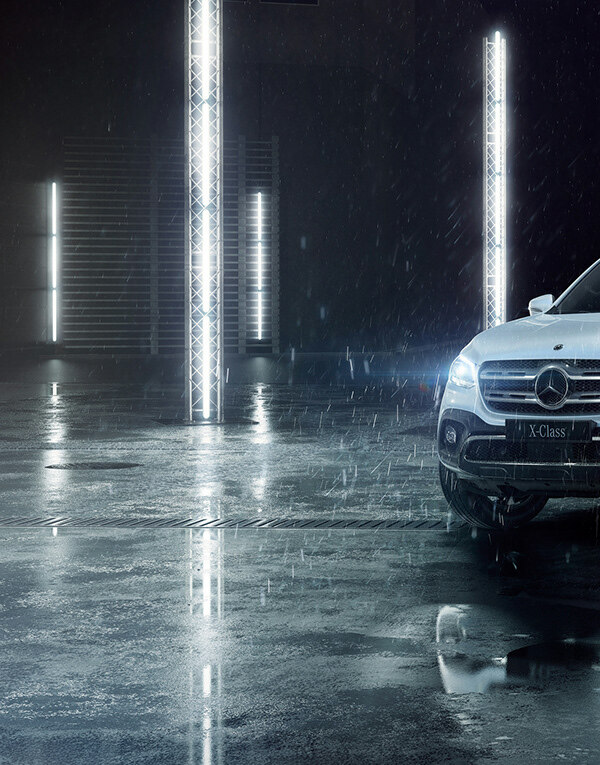 However, in the end, our team felt that the best finish would come from creating all the assets in 3D; including the majority of the car, the background and LED lights. 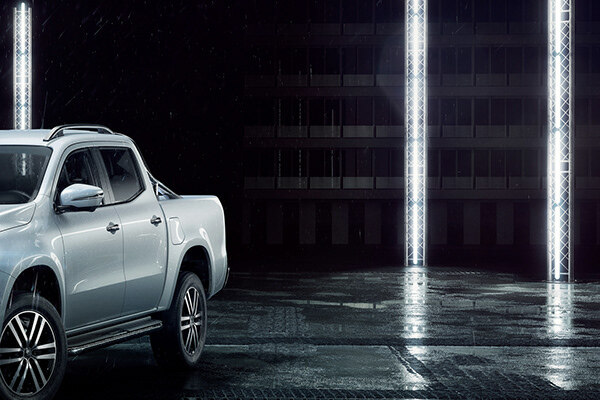 This also allowed these lights to be easily turned on and off for a potential animation at the end. 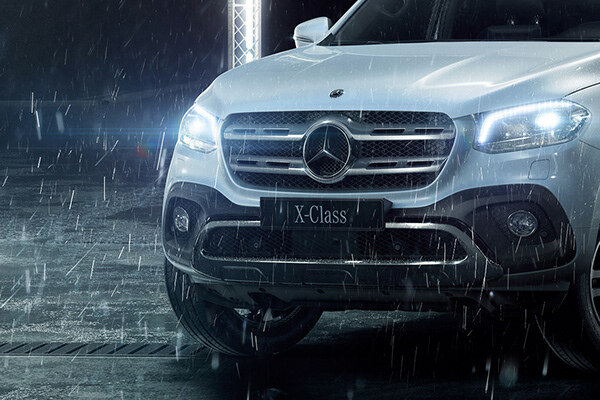 By using this combination of CGI and retouching, our in-house talented team was able to produce another hyper-realistic artwork for Mercedes-Benz.